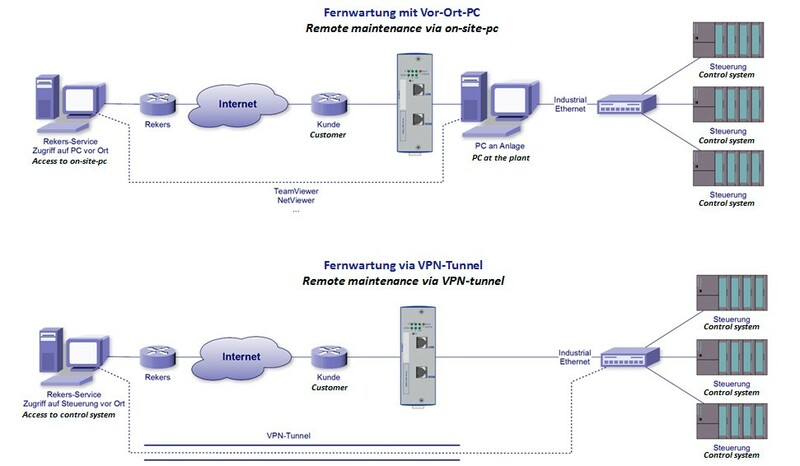 Networked efficiency. By networking all individual PLC control systems with a Windows-NT server over Profibus it allows a fast information exchange between the various processes. Our experienced professionals design and build robust and efficient control systems that guarantee reliable operation. The preferred bus technology used reduces the cabling requirement to a minimum. Special feature: Intervention in operational processes is possible from each and every plant control console. Man-machine interface. The simple and intuitive control console visualization in the well-known Windows space makes the selection and input of parameters a child‘s play. 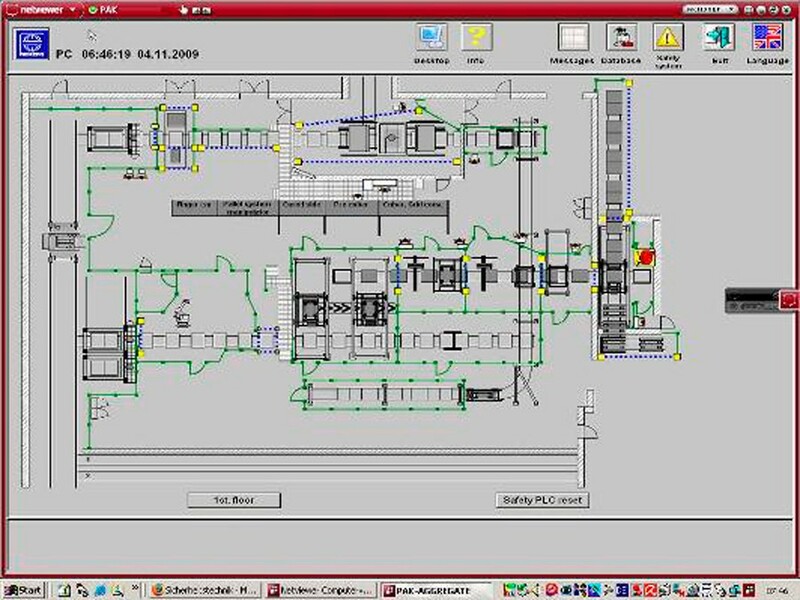 The many functionalities in the PLC control system are arranged in the visualization of the individual machines. Databases, programmed in the most up to date Windows space, manage product parameters and access levels by PIN, collect operational data and faults. This data can be transfered directly to the customer‘s connected computer system. It is also possible to print out the data using the numerous filter options or to an SAP interface. Seeing and understanding. The current status of the equipment is shown in a full graphic display. Fault messages are displayed as icons and in clear text superimposed on the graphic display. The representation of operational data supported by graphics shows the current process condition at a glance. 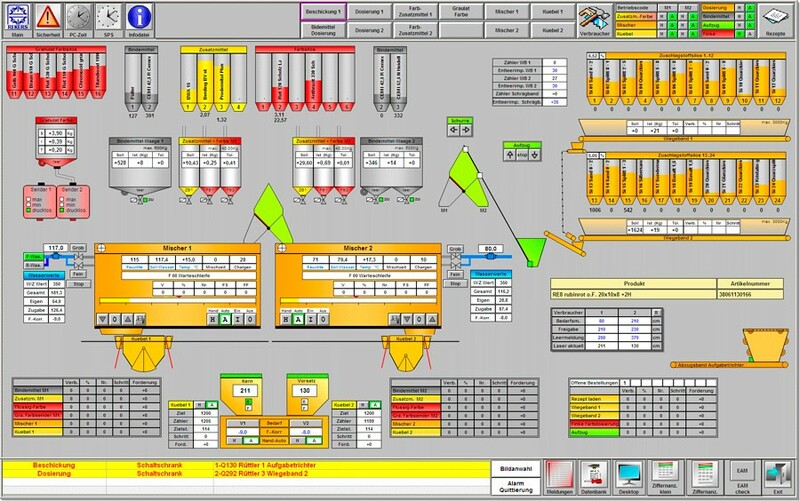 REKERS control systems for batching and mixing plants have been proven in more than 100 plants and are known for their intuitive operator interface, the meticulous programming, the self-learning software and the practical controls. Each control system is optimised for individual client requirements and optimised for the actual plant. Retrofit – The fitness program for plant controls. The aim of a retrofit action is to increase the productivity and availability of plant and equipment in a concrete works. Usually older plant and equipment is still in a good mechanical condition due to preventive maintenance. However the control, drive and also safety system technology no longer conform to current standards. In many instances the suppliers have stopped the production of proven components so that in the event of a failure they can no longer be replaced. In a retrofit action these obsolete components are replaced or extended by new, modern and up to date components and technologies. The aim is to achieve process reliability for the control and drive systems to ensure an optimum availability for your concrete production. Safety first. 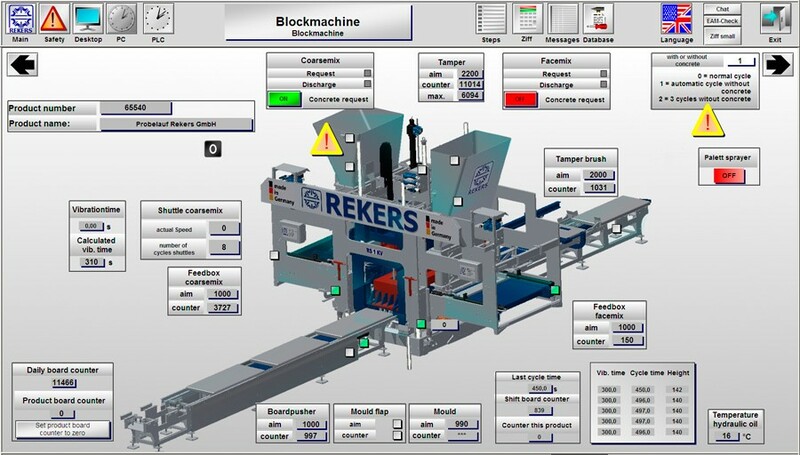 The REKERS safety control system divides the plant into different zones. Each zone reliably protects the operators from hazardous situations in accordance with safety requirements. Triggered safety sensors switch-off their defined danger zone and this is shown in real time in the graphic display.